The EDU01 basic experiment kit is the first step into the world of modern electronics. Build your own circuits in a fun, safe and educative way. 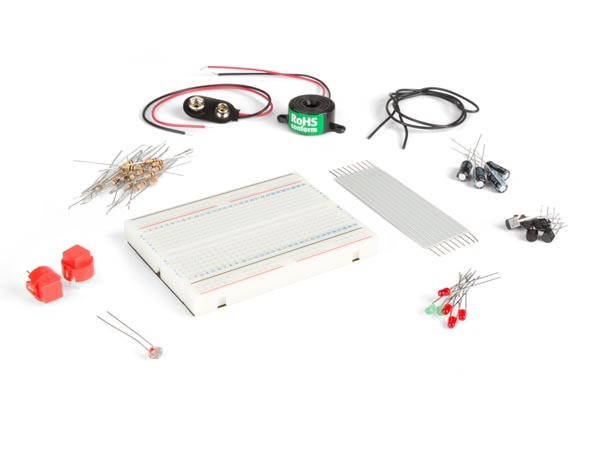 The kit contains a breadboard and all necessary components to get started right away. You will finish assembling your first circuit in just a few minutes… Projects include: LED with push button, Transistor as current amplifier, Astable multivibrator, Simple burglar alarm with LED indication and sound, Light detector, Polarity tester, Start-Stop circuit, Timer circuit, Light switch, Water alarm and Running light with 3 LED's.